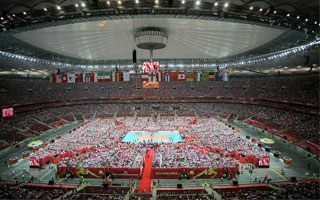 Stadion Narodowy in Warsaw witnessed a record crowd of 63,000 yesterday during the opening of Volleyball World Championship. That’s quite an achievement, but is it the biggest volleyball gae ever? Well… no. 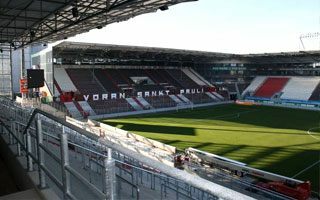 Works in Sankt Pauli were due in September, but demolition of the north end has now been postponed. 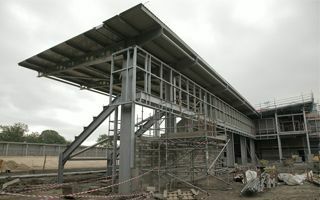 Still, the new north stand will be ready in time for the 2015/16 season. Construction is due in March, while the city selected future operator. New renderings are here, but contractor isn’t – ConstructionEnquirer.com informs. 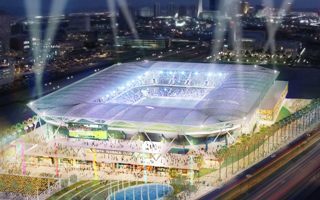 Price of a single seat at the proposed Las Vegas MLS stadium stands extremely high, at $8,300. 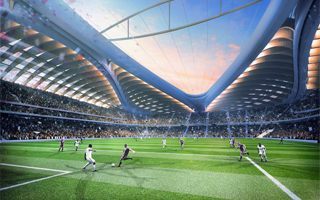 Reasons seem unclear as investors drop retractable roof from the project. The third stadium for Russia’s 2018 World Cup is ready. It’s also the very single one not financed by taxpayers. 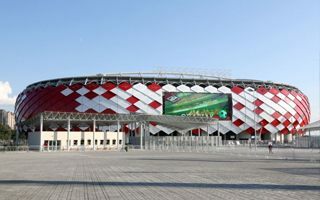 Starting September Otkritie Arena will become the first ever home for Spartak. Despite coordinating the work of 30 officers at the heart of the disaster, inspector Anthony Humphries was never called as a witness before. 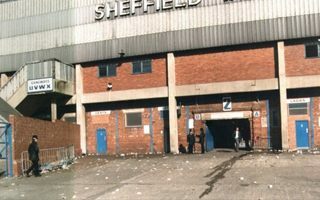 Now his statement gives evidence of what happened at Hillsborough. 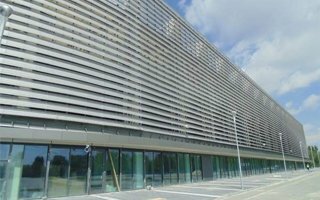 Planning papers were submitted in the city hall today. 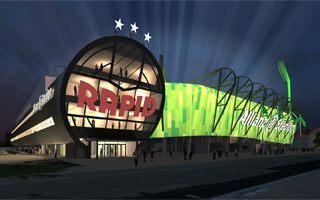 Rapid hopes to get fast approval and begin works before the end of summer. Also, the stadium’s address may be changed. 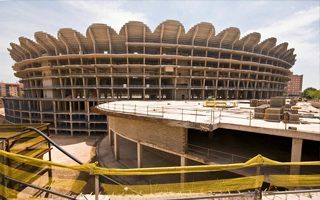 New owner took over at Valencia, but at the same time withdrew some of his previous declarations about the new stadium. 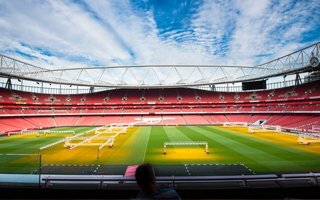 Delivery of Europe’s largest deadlocked stadium is again in doubt. 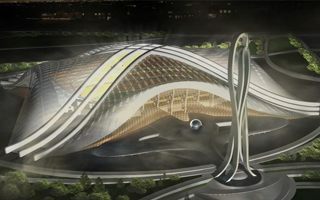 Zaha Hadid filed a lawsuit against New York Review of Books, as one of the authors found her co-responsible for the death of 1,000 workers at Al Wakrah Stadium. This cannot be true, because the stadium isn’t under construction yet. 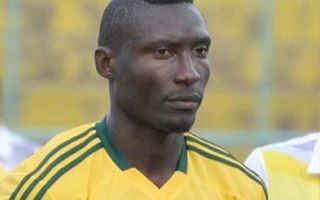 Cameroonian Albert Ebossé was declared dead upon arrival at hospital. He was hit by a missile as his team lost 1:2. This tragedy also has a significant political context. 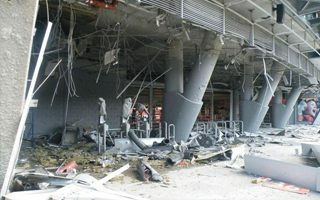 Yesterday morning two large explosions occurred in the north-western part of Donbass Arena. No-one was hurt, but damages are significant. 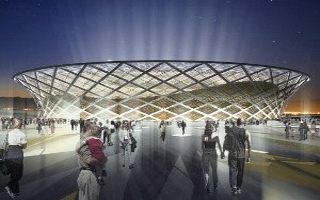 Shakhtar released photos of the site. There are very few countries in Europe, where football isn’t particularly popular. Here are two of those countries, but of course this doesn’t mean fans there don’t deserve decent infrastructure, even if they’re not too many of them. Usain Bolt will run in Warsaw today, but the event had to be held at football-specific Stadion Narodowy. Polish capital has no decent venue with a running track. The most famous one is almost in ruins. It was due in early July, but won’t be opened until September. Contractor has filed for a partial occupancy permit to allow fans inside for the Hamilton-Toronto classic. 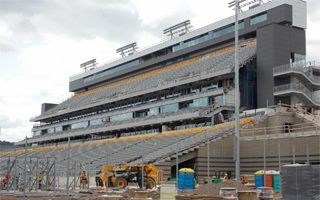 No more than 75% of Tim Hortons Field will be opened. 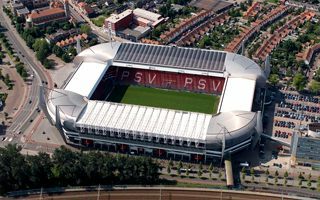 The Dutch stadium will soon double the number of its solar panels. 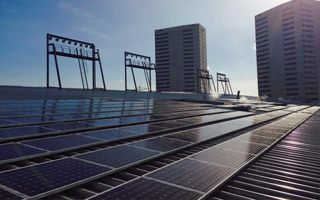 Thanks to private citizens financing further batteries, Euroborg’s roof is the largest crowd-funded project across the Netherlands. 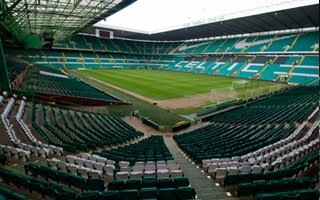 Our database has grown by five new stadiums overnight. These are all small, but recently modernized or completely rebuilt stadiums from less known areas in Poland. 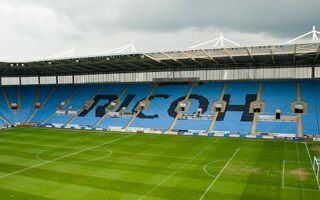 After months of quarrels agreement has been reached and Coventry City is coming back home. The new deal will last at least 2 years, causing celebrations among fans. 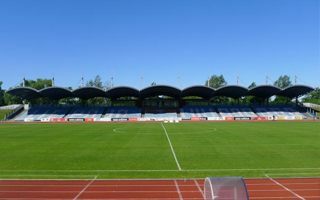 Oslo city council unanimously agreed that the proposed stadium in east Oslo should be built. But decision on whether to transfer land to the club is yet to be reached. First of two giant screens was mounted under the roof of Stade Atlantique this week. 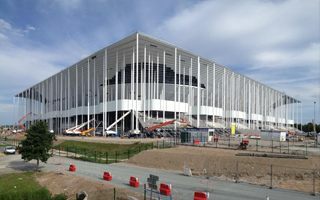 The Euro 2016 arena is entering its construction’s final stages as the roof and external cladding are almost done. 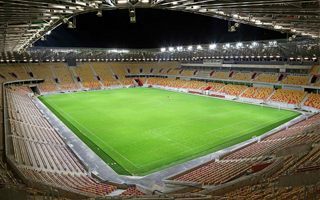 Instead of two years it eventually took four to build it, but now the 22,400-capacity stadium is about to become the sixth largest in Polish top league. But first it needs to get all approvals from authorities. After a (too) long wait fans of Lokomotiv were the first away contingent to ever see a game at Kazan Arena. They returned home satisfied, while local side Rubin enjoyed their record crowd. 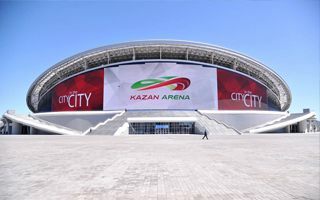 Reigning champions of Kazakhstan are expected to change their 13,500 central stadium for a brand new 32,000-seater within the next few years. But why would they do that? 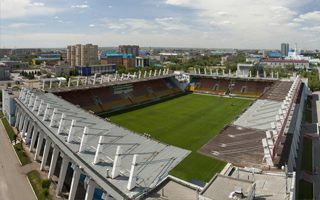 Yesterday the Russian government issued a statement, approving the proposed stadium scheme for Volgograd. No details as to financing were disclosed, prompting further questions. It didn’t get the 2006 World Cup games, it never had a naming rights deal. 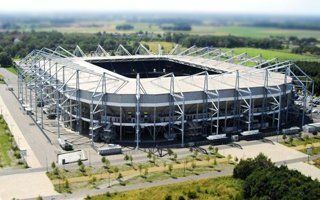 Still, “the other Borussia” grew in their new stadium and has serious plans for its future, as Borussia-Park grows 10 years old. 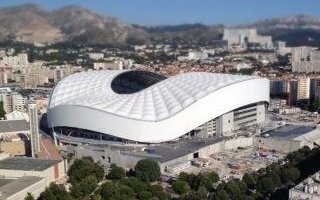 Only two weeks remain until we see the most modern stadium in Spain delivered. One year after most of the stands were ready, now the arena is almost complete. 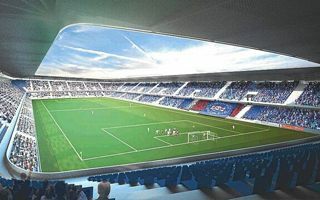 15.08.2014 England: New stadium for Gillingham to seat 24,000 fans? 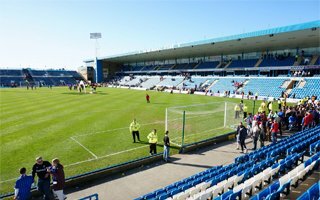 Though the plans are two years old already, it wasn’t until now that Gills revealed the planned capacity of their desired new stadium. 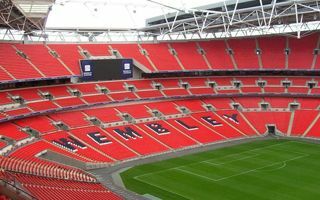 Making it reality would give Gillingham one of the largest League One stadiums. 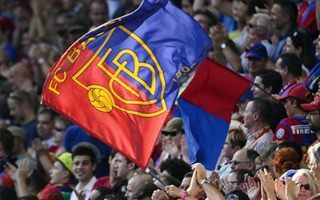 Today’s demonstration against skyrocketing ticket prices in the world’s most expensive football league wasn’t the largest. But it received strong attention in England and beyond. 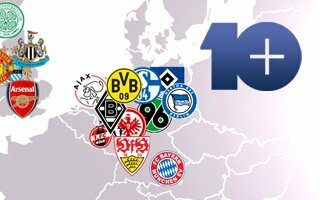 Most notably showing the difference between Bundesliga and the Premier League. 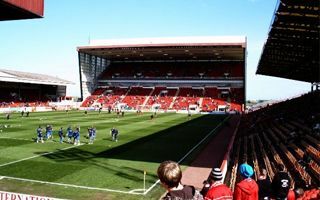 12.08.2014 Scotland: Details of Aberdeen new stadium soon? Aberdeen chairman Stewart Milne hopes to announce details of a new training facility in the next few months. His hope is to leave Pittodrie by 2017. 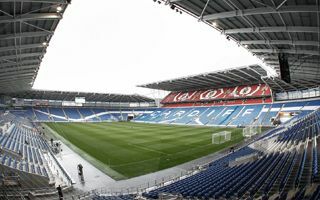 With 5,338 new red and white seats, the Cardiff City Stadium will see its first 30,000+ game tonight. 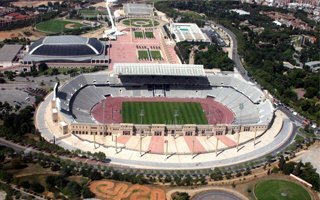 The Supercup between Real and Sevilla ends a year of preparation works. 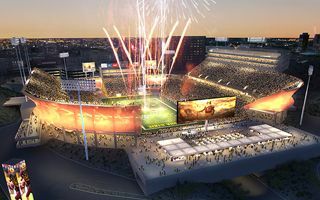 HNTB will be asked to redesign the aging stadium at Arizona State University, while joint forces of Hunt Construction and Sundt Construction are to implement the changes by 2017. 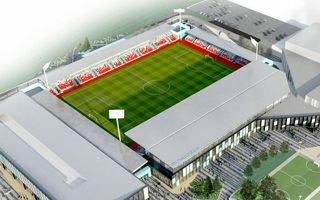 Not in September, but in October 2014 will the new FC United stadium be opened. Works are delayed slightly because of... dry weather. 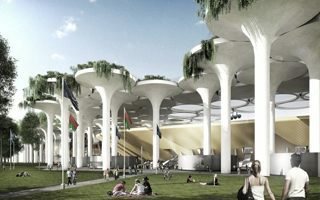 The national stadium grew since we last presented it. 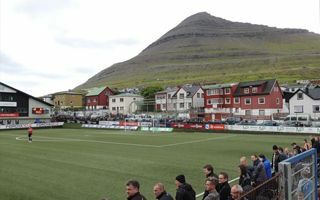 Two new stadiums also join our database from this small and remote location. All thanks to the groundhopping adventures of Gerhard Rudolf. 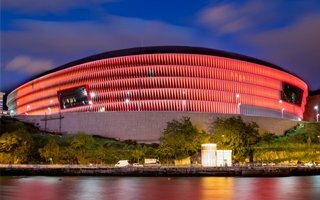 Less than 1.5 year after demolition of the historical predecessor, new arena in Budapest is ready for opening. 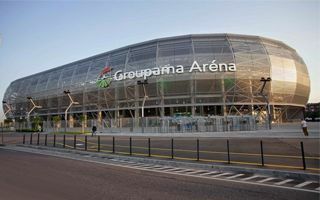 Ferencvaros welcomes Chelsea tonight and we welcome you to take a tour of the Groupama Aréna. 08.08.2014 London: Double standards a norm at Wembley? 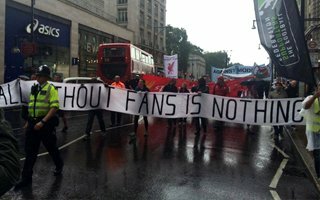 Football Supporters Federation once again argue that football fans are treated differently than the rest of event-goers. And once again we consider the argument absolutely valid. 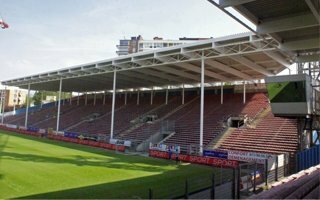 After 14 years Stade du Pays de Charleroi is back to its pre-Euro size. 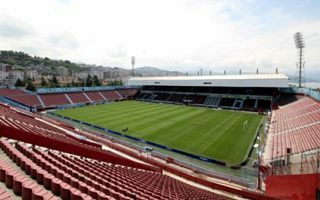 Instead of 30,000 it’s just over 14,000 in capacity, while further changes are expected to come next year. 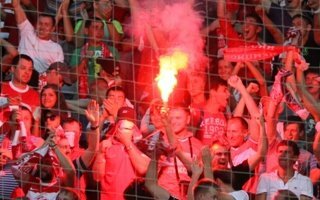 Presuming that female fans may smuggle pyrotechnics for male friends, police in Kazan demanded that all women attending game of their beloved Spartak need to take off their clothes. All clothes. 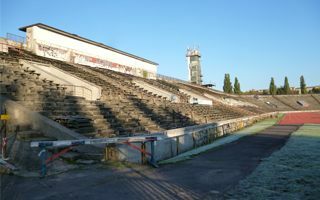 Arena Lublin isn’t under construction any more. Crews left the site while handover procedures begin. 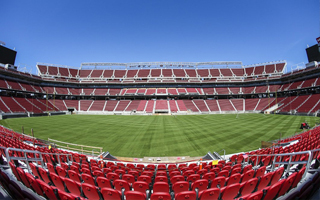 Once all permissions are in place, the stadium will be able to open on September 13. 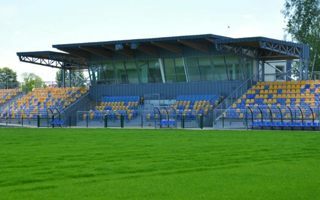 Yesterday’s game against Zulte Waregem was the first with new ‘fourth stand’ at Daknamstadion. 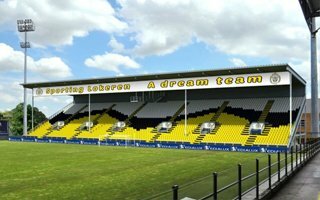 The stadium is now able to hold 12,000 people. 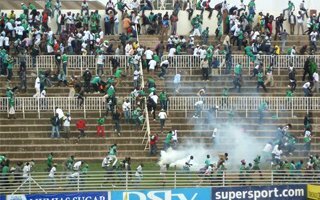 As visiting supporters were being pushed out of the stadium, a grenade exploded. Antagonistic home fans took care of those injured when medical services proved insufficient. 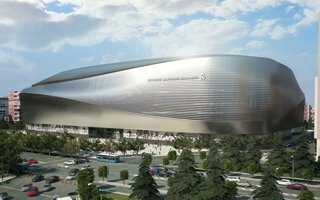 The Supreme Court of Madrid stopped zoning changes that would allow Real Madrid’s stadium to grow commercially. However, it’s not clear whether this decision will delay the project. The final concept has landed. It’s even larger and more impressive than expected initially. 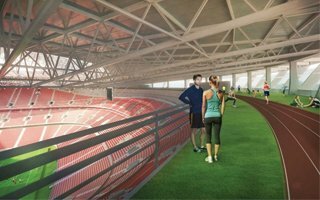 And atop the stands it’s going to have… a running track!